Well hellooooooo, internet friends! Have I got a TREAT for YOU. 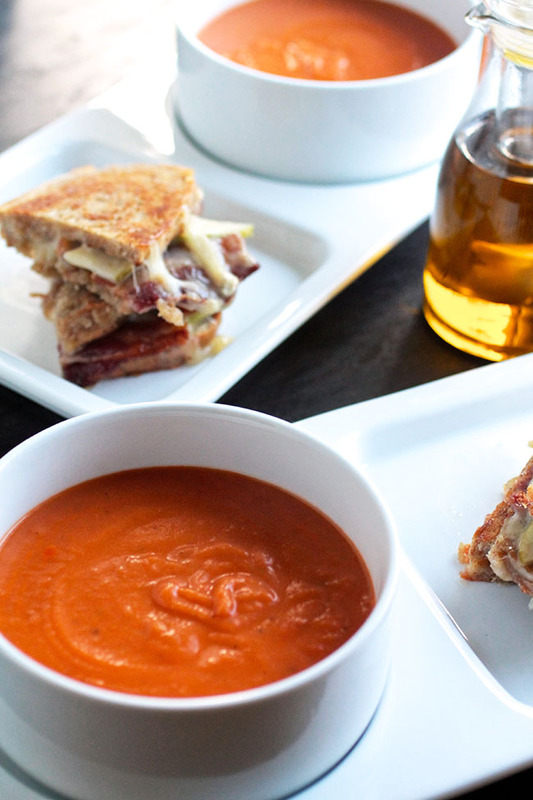 Not only am I about to tell you all about this Bacon, Brie, and Apple Grilled Cheese Sandwich (umm…OMG) – I am ALSO going to offer you a pretty fantastic opportunity to win yourself 25 gift card dollars from UncommonGoods. First, let me tell you about these SWEET plate/bowl combos (the ones you see in the photos!) that UncommonGoods sent my way. Kyle and I are ALL ABOUT THAT SOUP, BOUT THAT SOUP during chilly fall and winter months, but 90% of the time we try to balance a bowl on top of a plate and then oh, we need some bread on top of that, and then the walk from the kitchen to the table balancing all of the plates and bowls and utensils and bread is straight up PRECARIOUS. So the second I saw these plates, with their handy built-in bowls, I knew we were meant to be. I’m completely in love with them – they hold just the right amount of food and are stinkin’ stylish. Plus, no danger of your soup bowl sliding off the plate and onto the floor. Which is just the best. UncommonGoods is a certified B Corp (which means they integrate social and environmental responsibility right into their business model) and donates $1 of every purchase to a nonprofit partner of your choice through their Better to Give Program. They feature handmade, artisan products – and 1/3 of their product line incorporates recycled and/or upcycled material! I love it. I also got to try out the snazzy olive oil infuser from UncommonGoods (pictured below – I used it to flavor the olive oil you’ll create in the recipe below!) 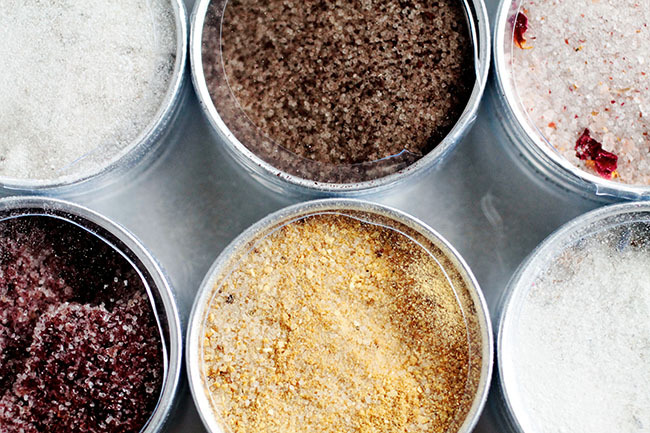 and some seriously cool flavored sea salts (pictured above). Also seriously cool? The fact that UncommonGoods is offering one Life As A Strawberry reader a $25 gift card so that you can try these snazzy products for yourself! To enter, leave a comment below, and for extra entries, you can follow and/or like both Life As A Strawberry and UncommonGoods on social media. Are you ready to hear about this sandwich now? Because it’s kind of delicious. I’ve never been big on bacon (GASP, I know, how am I a person) but lately I have been SUPER into it. Every recipe that pops into my head ends with “and then I could add BACON!” which is a little weird for me, but y’know, I’m rolling with it. 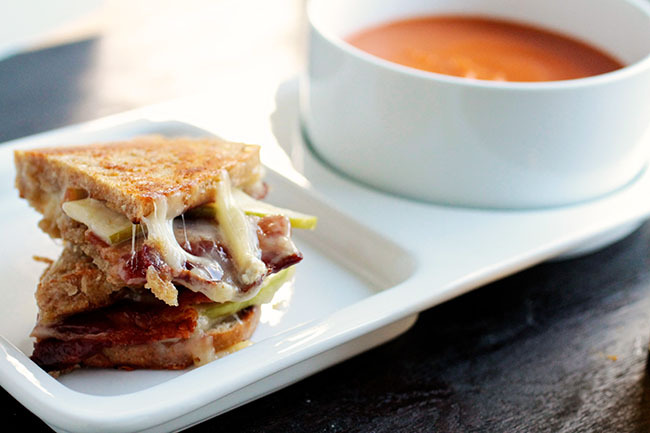 These sandwiches are the perfect fall-into-fall food. 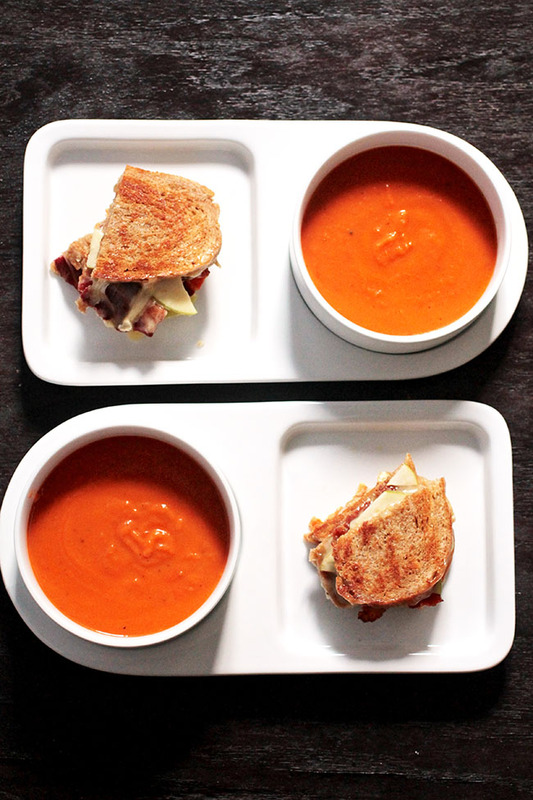 Just like the Apple Tomato Soup I posted earlier this week (which was the perrrrfect accompaniment to these bomb dot com grilled cheeses) they have a nice, rich flavor – and the apples lend just the right amount of sweetness to give us our daily dose of fresh produce! In a small dish, combine the olive oil and crushed garlic and give it a stir. 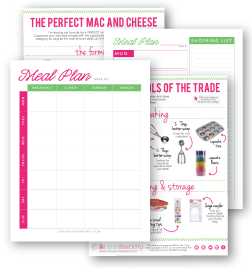 Let it sit while you prep the rest of the ingredients – the longer, the better! Heat a large, flat pan over medium-high heat. Brush one side of each piece of bread with the garlic olive oil. 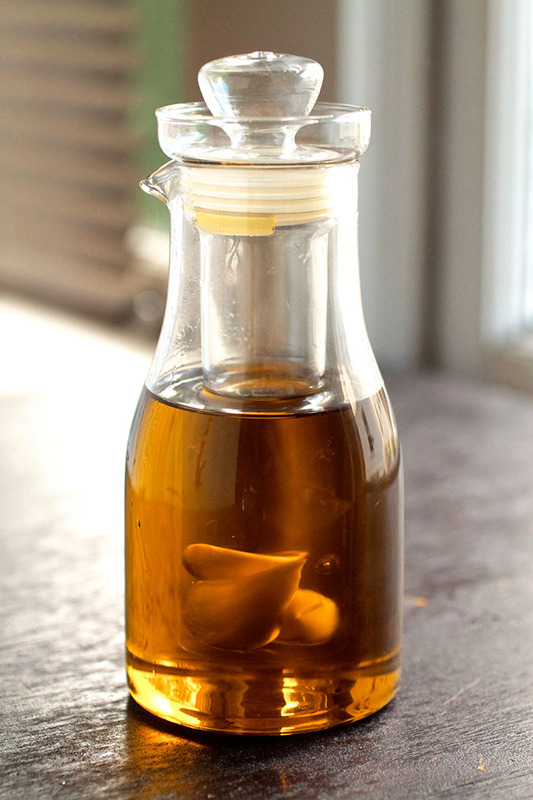 Place each piece of bread oil-side down on the hot pan and toast until lightly browned, then remove from heat. Brush the non-toasted side of each piece of bread with garlic olive oil. Place half of the pieces of bread oil-side down (the un-toasted side this time!) 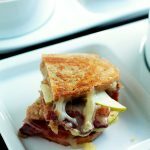 and immediately top each piece of bread with a slice of white cheddar cheese, followed by a few slices of bacon (I use 2 or 3) and a few slices of apple (I use 3 or 4 apple slices per sandwich) Grilled cheese is an art – add however much of each ingredient you’d like! 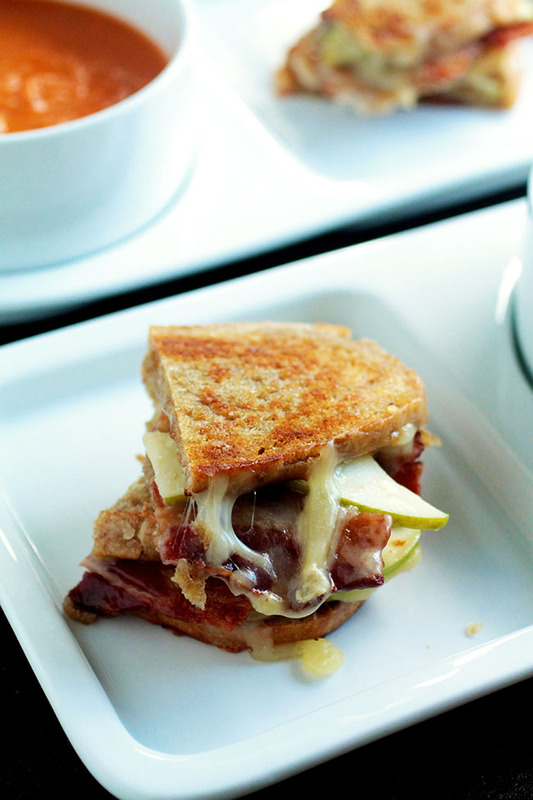 Top each sandwich with a slice of brie, and then place the remaining pieces of bread toasted-side down (oil side up) over the brie. Toast sandwiches for approximately 2 minutes on each side, flipping once the bread is toasted. 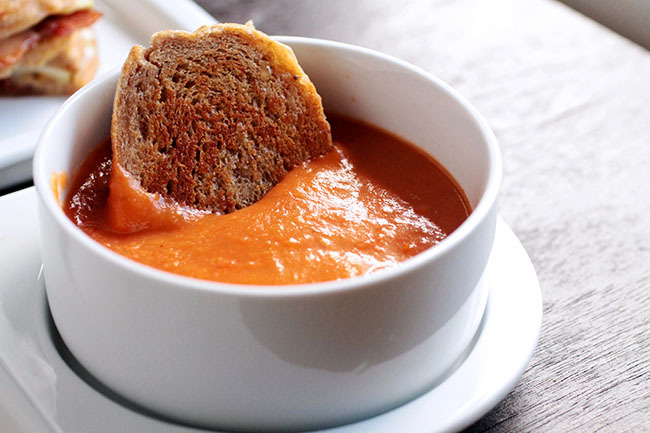 Serve immediately with a bowl of Apple Tomato Soup. 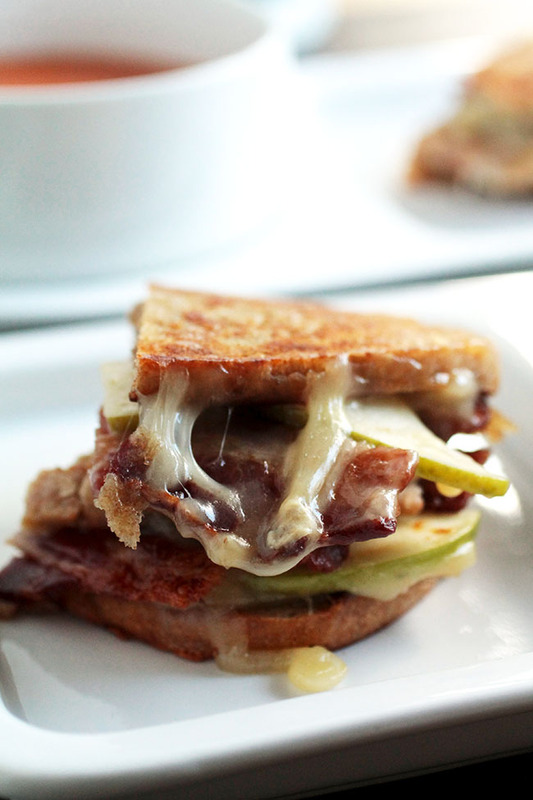 Brie melts pretty fast, so add it last to give the white cheddar more time to melt! Keeping the heat up pretty high so that the bread toasts more quickly can help you get the sandwich toasted before the brie melts all over the place. Disclosure: I received a variety of products from UncommonGoods for review purposes. All opinions are, as always, my own. I love all the apple recipes for Fall! My favorite fall recipe is roasted veggies (olive oil + salt + pepper + thyme). I especially like using root veggies for this. I haven’t tried it, mainly because I’m really not a big fan of candied bacon. It might make it a little too sweet to just put candied bacon into this exact recipe, but you could counteract that by using tart apples (like Granny Smith) and adding some goat cheese in place of some or all of the brie. Thanks for the reply. I think I’ll try the goat cheese and granny smith idea. I’ll let you know how it turns out!